Cari has designed and officiated at unique and meaningful rituals for weddings, memorial services, funerals, scatterings of ashes and other transitional ceremonies. As a chaplain and celebrant, she has supported families and their loved ones with end-of-life rituals—religious and non-religious. Cari creates ritual celebrations with deep respect and reverence for the participants’ spiritual preferences. Regardless of the occasion, both joy and awe are present when we stand on the brink of transformation and New Life. 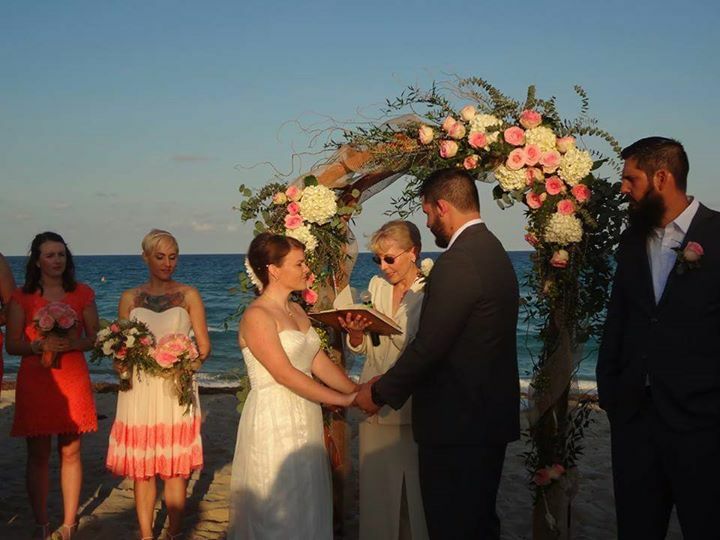 Interested in a wedding celebration on the Pacific Coast in Rosarito, Mexico? English or Spanish. My colleague, Rev. Louise Landeta and her spouse, Carlos Landeta may be able to help you.